Kids love smartphones, and parents love knowing where their kids are. The Kurio Phone is for both of them. Techno Source and KD Interactive already makes a line of Kurio kid-friendly Android tablets, with tight parental controls over what kids can access on the Internet and what apps they can use. The Kurio Phone, making its debut at CES 2014, keeps all those features, but adds phone-specific ones too. The Kurio Phone can alert you when your kid's phone has a low battery, for example--no more excuses about the phone running out of juice. It's got GPS, so it can notify you when your child ventures beyond a geofenced area, and parents can geolocate their kids anytime. Contact management means kids can add contacts to the phone, but they can't access them until the parent approves. And of course parents can set tight limits on when and how often kids can use the phone and texting--as well as designate five primary contacts that aren't subject to those restrictions. The phone also blocks newly downloaded apps until parents approve, and calendar scheduling lets parents set time limits per app. If something bad happens, a huge, unmissable "Emergency" widget holds I.C.E. (in case of emergency) information, like a child's date of birth, allergies, blood type, and doctor's name and number. Kids can call 911 from this menu with just a tap, and there's even a panic button feature--kids can press the power button on the side quickly and repeatedly (say, 6 times in 2 seconds) to trigger a silent alarm and notify their primary contacts. We'll review it when we can, but based on a quick hands-on, it really seems like the Kurio Phone's makers have thought of everything. The phone's hardware specs alone won't win it any best-of-show awards (Android 4.2 Jelly Bean, 4-inch 480 by 800 screen, dual cameras, 3G, Wi-Fi, Bluetooth, GPS, FM, and 4GB of storage expandable to 36GB via microSD), but of course it's the software features that count. Kids get a smartphone, parents get peace of mind and remote monitoring of their children. Everyone wins. 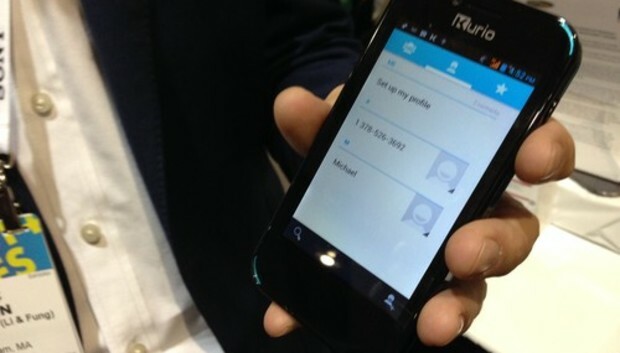 The Kurio Phone should ship in the spring of 2014. Prices haven't been announced, but it's expected to cost below $200 unlocked.